Lohman Gunsmith is one of the foremost experts of restoring your flood gun. Houston has a flood problem on a good day because we care flat as a pancake and most of the city sits anywhere from 38 – 115 feet above sea level. There just is not anywhere for the water to go. We just are at the tail end of the largest single rain event in the history of the United States of American. As Houston Texas recovers from the worst flooding in our history people will have to rebuild and repair structures and items in there homes. Guns are special items that can be passed down from generation to generation. If you have a flood gun or guns they need to be taken completely apart. This is every spring screw and all the parts need to be cleaned in special lubricants. We use and sell what we have used for years and believe is the best to clean, lubricant, and prevent rust and corrosion preventative Q MAXX. We also do a cleaning of the wood with a proprietary cleaning solution that take of minor spots. 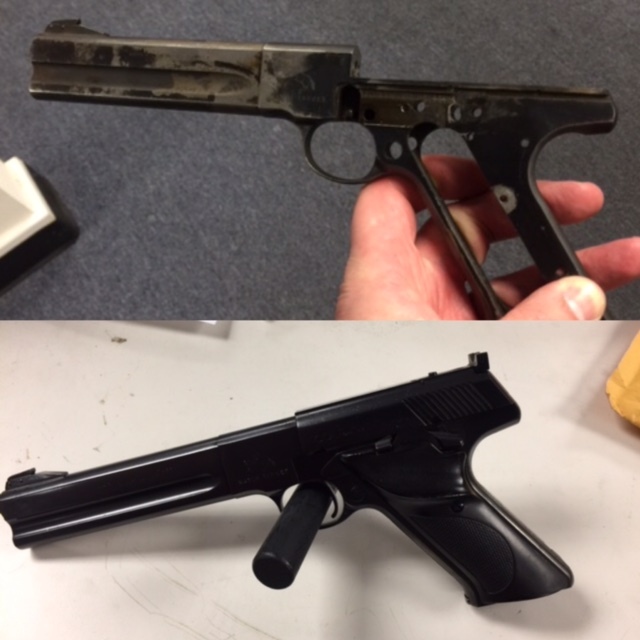 Some guns need more of a restoration which we can do. We can strip off all the bluing on the gun and reblue it. We can also color case the parts that might have been color cased in the past. WE can do other coating like Cerakote which is used more on modern weapons and is one of the strongest coatings you can use on a gun. When it comes to restoring the wood we will take off the finish and sand it and then put back on a oil finish. When it comes to taking care of your guns that have been in a flood you need to get them to an expert that can restore them or clean them up to the level you want. If you do nothing these guns will rust just like your car that is in the salt up north.